Poor Jewel of the Seas had a really close encounter when she paid a visit to the Faroe Islands recently. She hit an overhead cable which was strung between two islands. 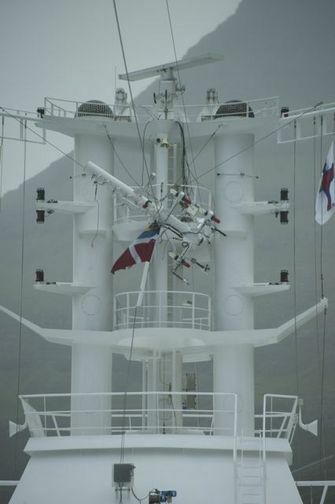 The incident left one crew member injured and the ships mast more or less in half. Fear not though, she remained seaworthy and after officials inspected the damage she was allowed to continue on with her scheduled cruise. The crew member luckily was not seriously injured but was transferred to a land based hospital after receiving initial treatment onboard. 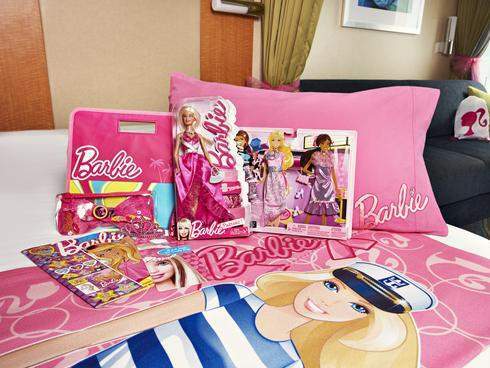 Royal Caribbean have struck a deal with toy giant Mattel and will introduce Barbie to the characters onboard its ships. There will be Barbie story times, themed movie nights and lots of other activities. For those of you interested there will also be a $349pp “Barbie Premium Experience” that will let your little Princess sleep in her very own Barbie themed cabin, design Barbie outfits and if that was not enough they can also attend a Barbie tea party. The Barbie experience will also include cruise/nautical themed dolls and outfits along with Barbie blanket and pillowcase. The Barbie experience will start in January with bookings being taken from October; the theme should be fleet wide come March.